In late-eighteenth-century Ireland, accidental stargazer Caroline Ainsworth learns that her life is not what it seems when her father, Arthur, throws himself from his rooftop observatory. He has chosen death over a darkened life, gone blind from staring at the sun in his obsessive hunt for an unknown planet near Mercury. Caroline had often assisted her father with his observations; when astronomer William Herschel discovered Uranus in 1781, she watched helplessly as unremitting jealousy drove Arthur to madness. Grief-stricken, Caroline at first abandons the vain search, leaves Ireland for London, and tries to forget her love for Finnegan O’Siodha, the tinkering blacksmith who was helping her father build a massive telescope larger than Herschel’s own. But she later discovers that her father has left her more than the wreck of an unfinished telescope: his cryptic atlas holds the secret to finding a new world at the edge of the sky. As Caroline reluctantly resumes the search and confronts her longing for Finnegan, Ireland is swept into rebellion, and the lovers are plunged into its violence. This is a novel of the obsessions of the age—scientific inquiry, geographic discovery, political reformation—but above all astronomy, the mapping of the solar system, and beyond. It is a novel of the quest for knowledge and also—just as importantly—for human connection. 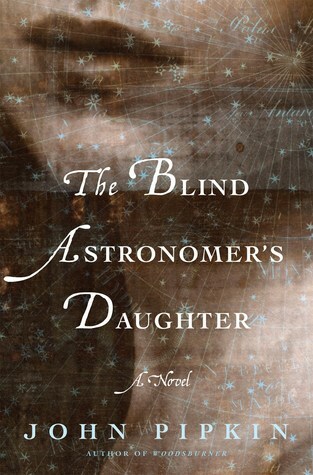 The Blind Astronomer’s Daughter is rich, far-reaching, and unforgettable.